This hands-on workshop explores social forms of drawing, using games and performance in both physical and digital spaces. Taking focus away from draftsmanship to explore the use of comics in oral storytelling and play both on and offline, the session investigates how drawing can be incorporated into ways of thinking and making for all ages, in and out of traditional learning environments. STOP PRESS: Early bird rate for We All Draw ends tomorrow – 8th July. We extended it for a week, as we have lots of bookings and reservations made a while ago, and we wanted to give you all a last chance to pay at the cheaper rate. 5-8pm: Welcome drinks, private view of shows – and co-incidental fireworks on Southbank! Noon onwards: registration and warm up workshops. In addition to our course 23-25 July, we are now holding a second course, for those who would like a longer course, who attended our Bronx course last summer, or who cannot make the first course dates. This will follow from the first, but can be taking independently. Looking forward to seeing you in summery Croydon shortly! Following the success of our 2014 Professional Development course in the Bronx NYC, we are running a further course, in a lovely hotel in Croydon, London. Following on from the past three Thinking through Drawing symposia, at Wimbledon, Teacher’s College Columbia University and The Metropolitan Museum of Art, our 2015 symposium will be held in London, Friday 6th – Sunday 8th November 2015. – and this is the BEACH next to the warehouse we hope to hold the symposium in! Amazing views of London and the Thames. We have a new Drawing Circles blog for all members – with regular posts and images from the Circles. Do try to record as many of the pages in your books as possible, as we are hoping to make animations of the evolution of pages, and to have the chance to assess the changes through the year. Please specify whether you prefer your images to go on your private blog for your Circle, or this public blog. ‘Like drawing the wind.’ Jim, plus From Christian to Jim, re rabbit holes and wind. The way you formulated your dissociation around the drawing process inspire me to write this text. While talking poetically about a reality that is as intangible as the wind, you write about the relationship to your own work. You compare the relation to something that resembles the alliance to your best friend and you use metaphors pointing towards materiality as flesh and bones, steaks and potato puree. This also provides associations with different consistency of materiality as mass. 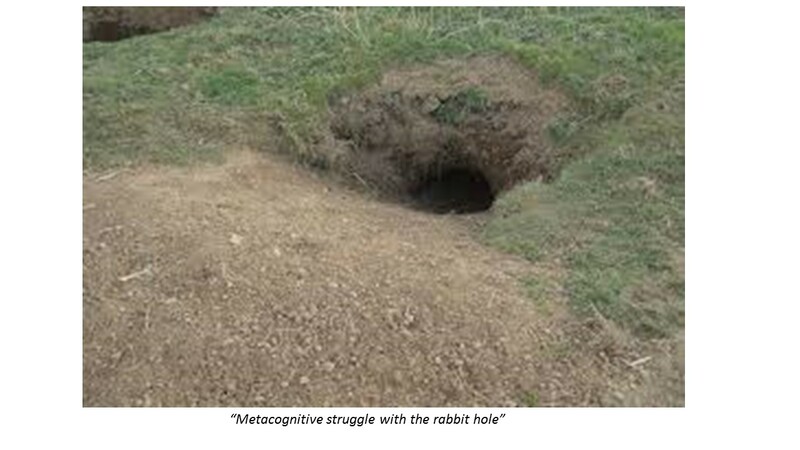 It was also interesting the metaphor of the “Metacognitive struggle with the rabbit hole.” The rabbit lives in materiality per se, in tunnels that nobody can control, in the earth’s interior. Here we touch a fundamental driving force in drawing namely “desire”, the source that give the drawn line its energy. You never know when or where the rabbit runs away dependent only of the desire principle or its inhibition. The verbal dialog, inner or outer, that offer a semblance of connection (bridge or link) between the artist thinking and the drawing itself is in my opinion not compatible with the bodily consciousness that belong in the gap, which opens up the space in between “cognitive thinking” and “graphic expression”. This bodily consciousness condition eludes the ego that become absent, as a conscious control authority of the drawing process. Absent in such a way, but totally present in the body awareness to the surrounding. The unarticulated (in linguistics terms) dialogue that occurs then with the body is nonverbal, dumb and blind .It happens beyond the five senses records of the outer world and is rooted in the sensitive materiality of the body likewise in its coupling with the outer world. Simply put, the “motivational” visual stimuli, like landscape, object, body etc.,have to be answered with a “motivated” gestural action. It is the act of drawing itself, as continuous loop of visual motor integration of outer and inner stimuli. It is through the movement that this gesture will give access to memory and embodied sensorimotor knowledge collected through life experience. Christian Montarou, March 2015, Norway. 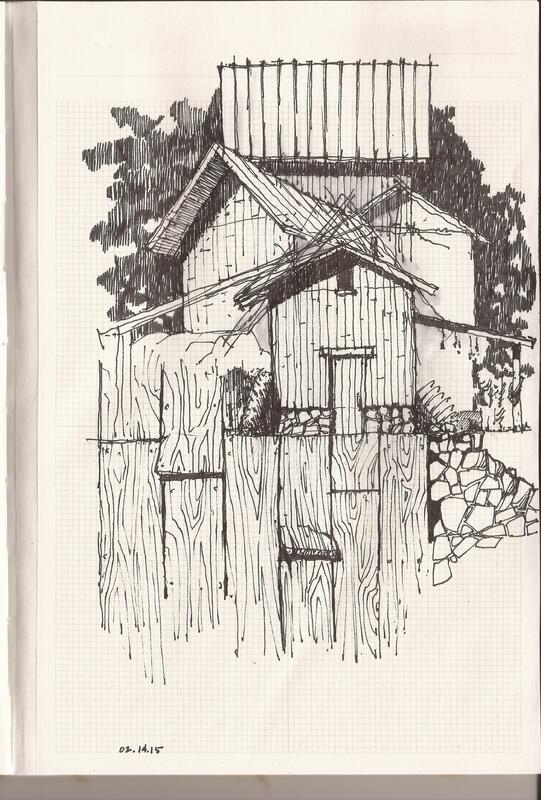 Love the images of gdc5 (Global Drawing Circle 5) you just posted. Attached is one from my sketchbook. My work is fairly ‘touchy feely’ – meat and bones or steak and potato stuff. I struggle with the metacognitive rabbit hole of drawing, such as the path the gdc5 drawings seem to blaze…making marks or drawing or sketching is more memory interpretation for me, a sort of expressive impressionism if you will, but not in the vein of Impressionism itself. I’m still working on what I do and why I do it. Perhaps it is just as simple as it looks. I know there is some kind of bridge or link between my drawing and my thinking, and I can verbalize it on occasion. But that link isn’t a visual one just yet…if that makes sense. Expressing that link in a graphic manner eludes me. It is kind of like drawing the wind: I know it’s there, I just can’t put pen to paper in a manner that describes the phenomenon appropriately. Last year in NY I saw plenty of our group who seemed to have managed their way into that particular dimension of drawn thought expression. Those were moments when I totally felt a disassociation with my thinking and my drawing, or at least how to represent what I knew to be true in the space that separates (or joins) the two.